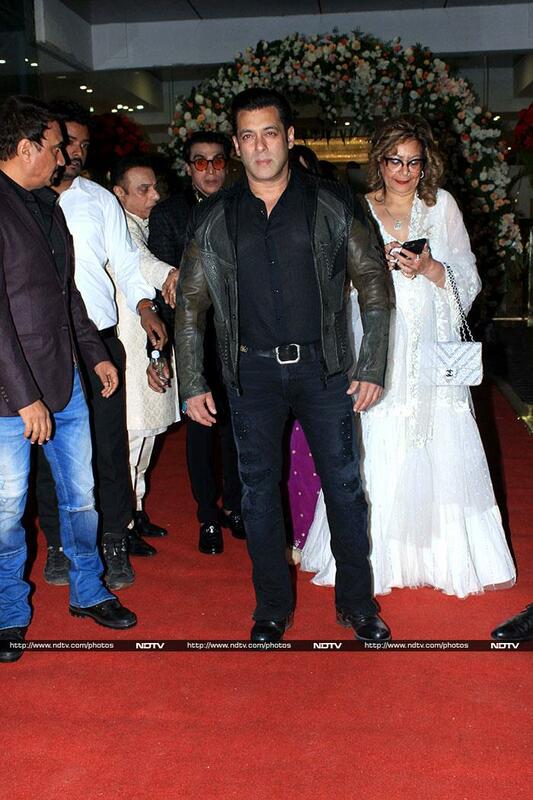 Salman Khan led the celeb roll call at Azhar Morani's wedding festivities in Mumbai on Saturday. The Bharat took time out from his busy schedule to be a part of Azhar's big day. Sonakshi Sinha looked Dabangg in an Anamika Khanna creation. 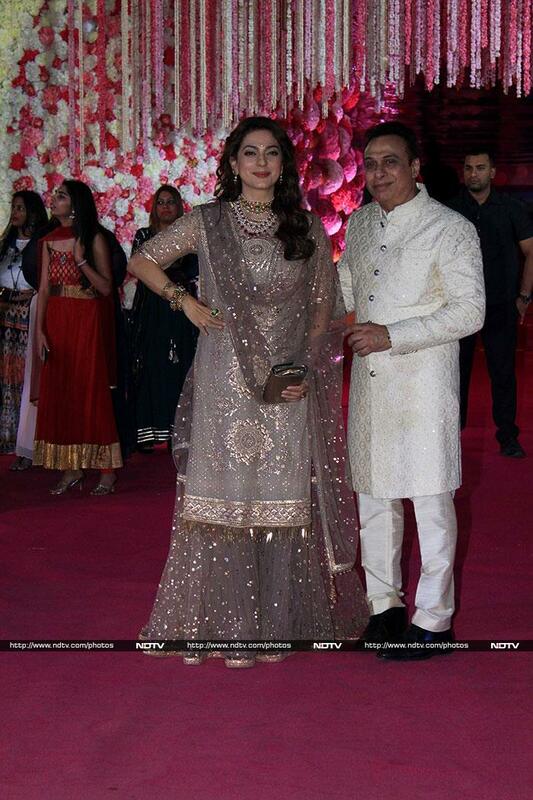 Juhi Chawla, last seen in Ek Ladki Ko Dekha Toh Aisa Laga, wore a shimmer outfit. Rekha wore a bright banarasi suit to the wedding. All that glitters is Iulia Vantur. Elli AvrRam wore an anarkali with gota-patti work. Aditya Thackeray was dressed rather casually for the function. Karanvir Bohra posed with wife Teejay Sidhu. Gurmeet Choudhary and Debina Bonnerjee were all smiles. Gaurav Chopra arrived with wife Hitisha Cheranda. Vindu Dara Singh arrived with his family too. Soorma actor Ameet Gaurr was also in attendance. Actor Armaan Kohli was also on the guest list. Gulshan Grover was also there. Rajesh Khatter, dressed in black, posed for the shutterbugs.